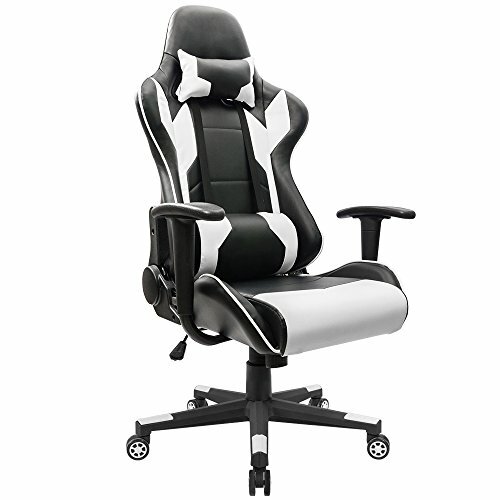 This Homall Executive Swivel Leather Racing Style Gaming Chair is designed for serious gamers and gaming enthusiasts. 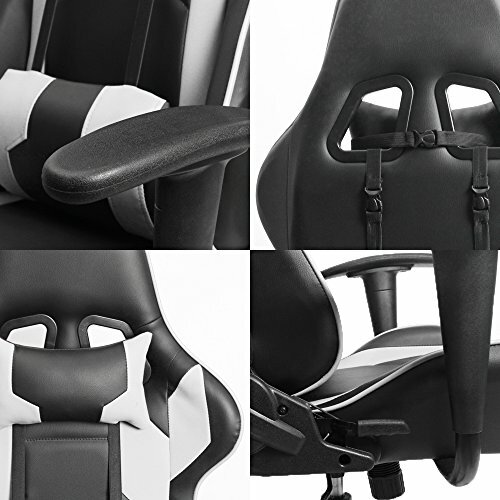 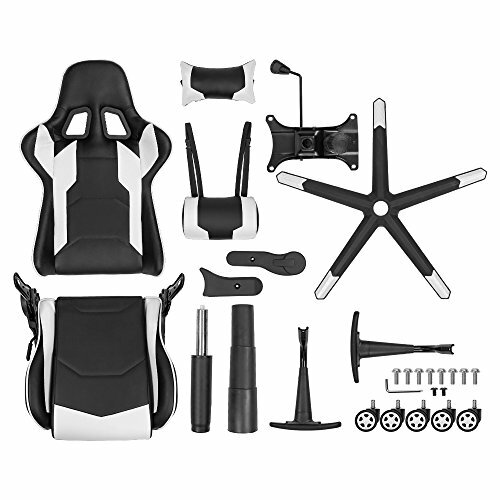 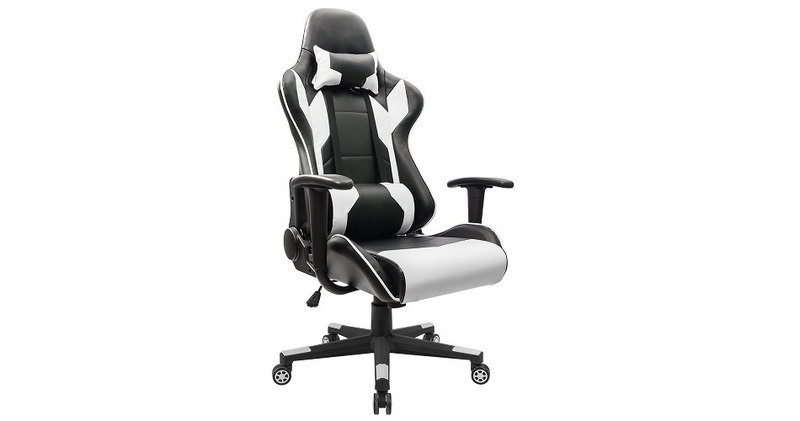 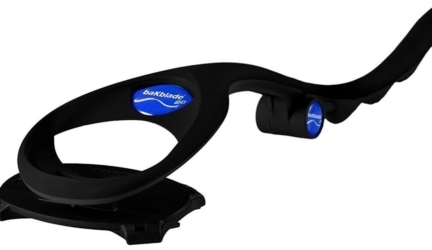 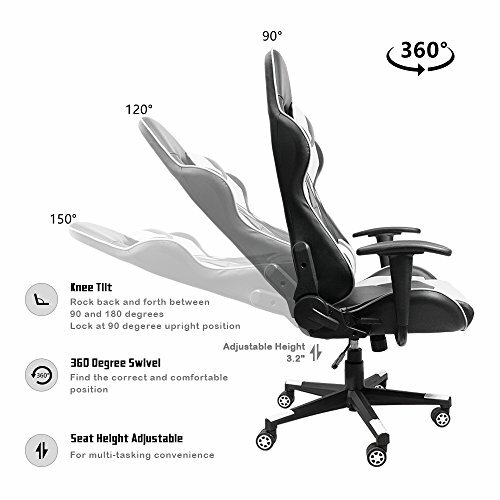 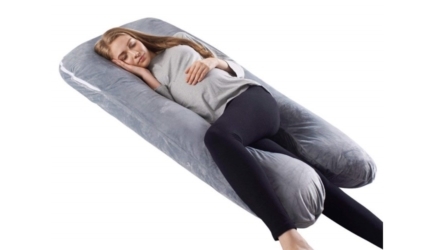 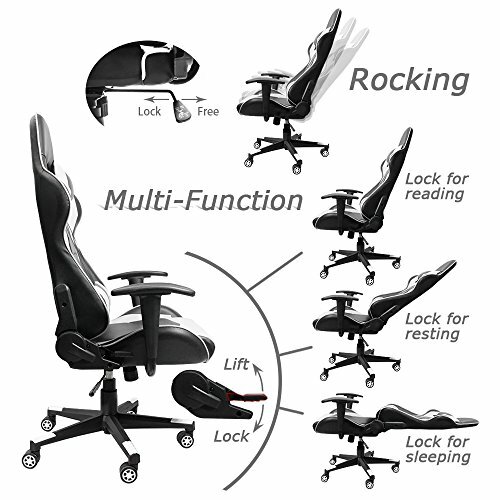 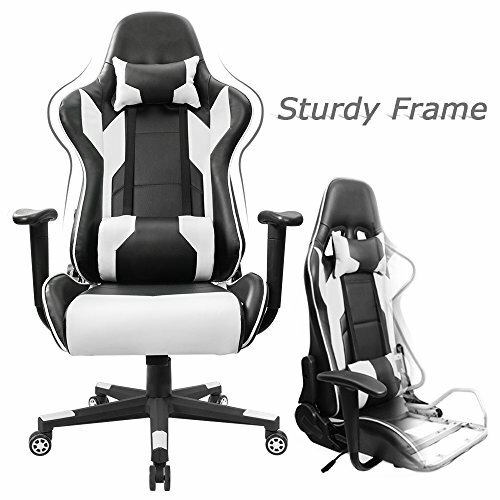 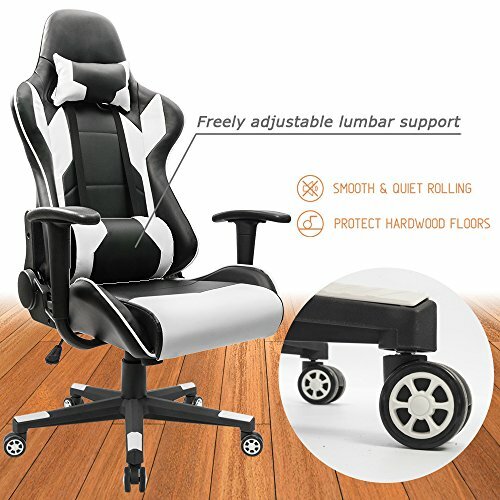 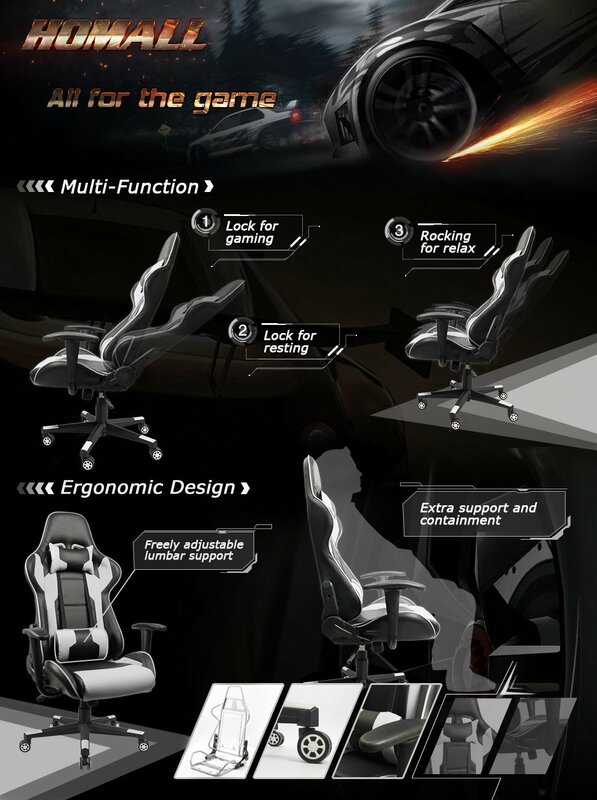 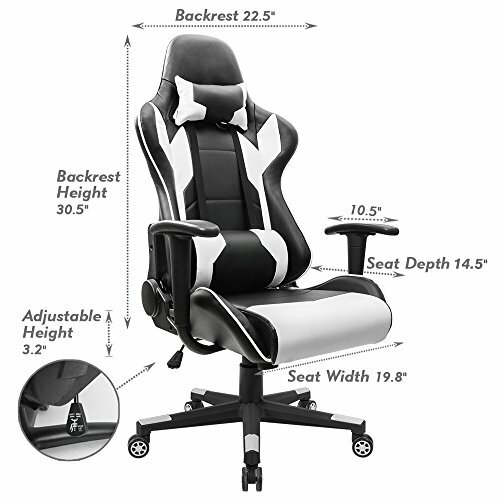 This gaming chair extends the full length of the back with support for the shoulders, head, and neck. 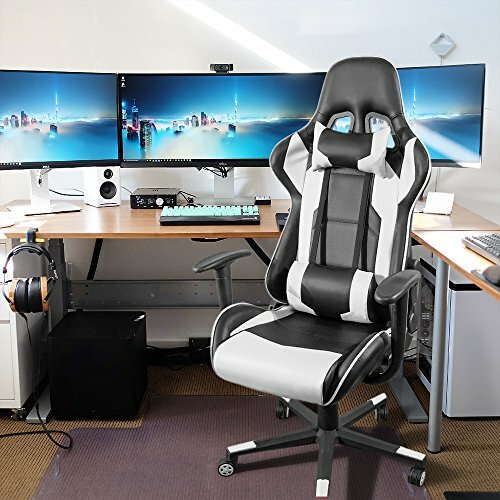 The Homall Executive Swivel Leather Gaming Chair comes with tilt Locking mechanism 90-180 degrees angle adjuster, height-adjustable gas spring cylinder, sturdy five-star base, easy to move with color caster wheels and headrest pillow and lumbar cushion.